If It Looks Like a Top, Feels Like a Top, and Sounds Like a Top then It’s Probably a Top….Nah! It Ain’t Over Til It’s Over. Statistically speaking, the market is overdue for a correction—but skipping out too early can cost you plenty. We constantly watch for five indicators of a recession–none is flashing red yet. 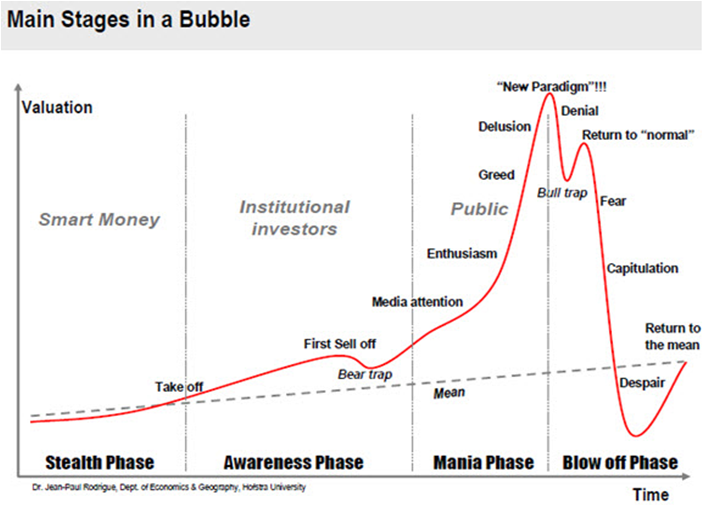 There are 3 phases of a bull market and 4 stages in a bubble. Read on to see where we are. The most hated bull market in history is trying to keep the love alive. 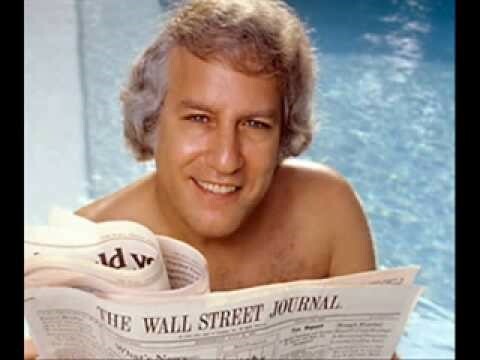 When I started my career on the trading desk in 1998, believe it or not, everyone on Wall Street watched a PBS show called “Wall Street Week.” For 32 years, the show was hosted by Louis Rukeyser, an eternal bull and one of the first Wall Street media celebrities. Rukeyser’s guests considered it a badge of honor to be interviewed by Rukeyser, who was a combination of Oprah Winfrey and David Letterman–with hair like Donald Trump’s. Rukeyser kept a dozen or so Wall Street soothsayers (aka his “elves”) in his stable. But the elves started going bearish in 1996 before the “rip your face off” rally during the final phase of internet bubble that ended in 2000. Rukeyser sent the elves back to the North Pole but his show lasted another six years before cable and the internet rendered “Wall Street Week” a footnote in capitalistic history. Sadly, Rukeyser died not a few years after going off the air. If nothing else, he learned a valuable lesson about Wall Street: Timing the market can make you rich or send you to the gulag. Over the years the gulag has become an overcrowded prison. The three stages of a bull market. Excess Phase: When it seems-only good times ahead, the last of the buyers enter the market. Are we in the Mania Phase? There is sound evidence that the U.S. stock market has hit the higher levels of fundamental valuations. For example, the forward P/E of the S&P 500 index is now higher than its 5-year, 10-year and 20-year averages. What’s more, the Shiller CAPE (Cyclically Adjusted P/E) ratio is above 30, and the Buffet Indicator (market cap divided by GDP) is two standard deviations above the mean. I have attached explanations of all three with this article. It’s safe to say fundamentals are not cheap, but fundamentals are not market timing devices. At market tops, bullish sentiment is nearly unanimous. Wall Street analysts, company CEOs and the investment public tend to adopt a new euphoric view of the future with the belief there will be a perpetually rising stock market. However, recent surveys show that bearish sentiment among retail investors is at the highest level in over a year. 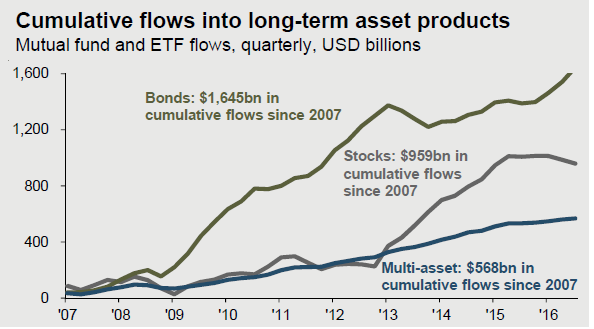 Further, money managers are holding high levels of cash, and flows are still going into bonds. So, it appears the great migration out of bonds and into stocks has not unfolded yet. Taxable Bond Flows Highest Since 2010. Stock Market Bubble? How about Wall Street? Has euphoria set in? On Wall Street, the so-called “sell side” is represented by people in the financial industry who sell products such as stocks and bonds. The “buy side” is made up of institutional investors including pension funds and insurance firms. Based on data like the chart below, it appears Wall Street is still in a “Barely Bullish” phase–hardly “Exhilarated.” Compare today to the levels of extreme bullishness in 2000 and 2007. It’s not even close. How about IPO Elation? Surely if we are in a bubble, then the IPO market should be going gangbusters. Yikes! Here is a list of big name IPOs with performance. The table below lists the first-day performance and subsequent performance of high profile IPOs from recent years. 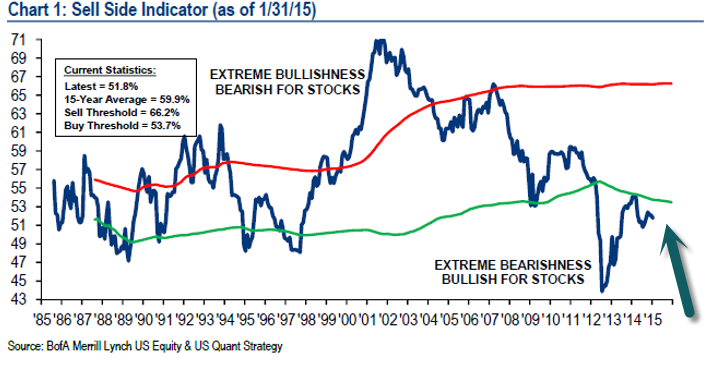 How about retail investor sentiment? At Fortis, we believe the markets are a psychology game, not an IQ game. According to the CNN Fear and Greed Index of investor emotion, the retail public remains fearful, not euphoric. Sentiment drives flows, hence we expect continued consumption of bonds which are in the midst of a 35 year bull market. 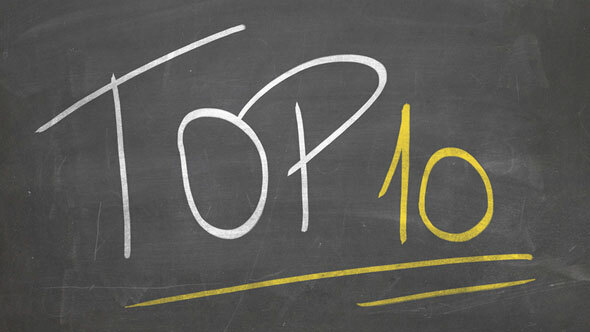 Normally, the S&P 500 has at least three corrections per year of at least 5 percent. In 88 out the past 89 years, there has been at least one 5-percent correction and in 67 of the past 89 years there has been at least one 10-percent correction. Based on this evidence, the market is overdue for a correction and we are heading into the traditional “Sell in May” seasonal months in which the probability of a pullback increases. Sure, a correction is possible, but a recession or credit crisis is much less likely. Yes, we have pockets of credit risk in the form of sub-prime car loans, student loans and emerging market debt, but it’s nothing like 2008. Per capita household debt levels have essentially moved sideways for a decade, because of the substantial reduction in mortgage debt. Regarding a recession, none of the five indicators that we monitor at Fortis is flashing red yet, but when conditions change, we will change, too. That’s because real damage is done to unprotected portfolios during recessions–when stock market corrections average 30 percent. If a recession is not imminent, being early may be quite painful. My friend Josh Brown at Reformed Broker summarizes the dangers of sitting out the end of a bull market (see below). Table 3 shows the performance of stocks 24-months prior to a historic bull market peak, as well as 12 months and 6 months prior. It’s painful to miss the end of these things. If you sat out the markets12 months prior to a historic peak, you would miss out, on average, of a 25% gain. Even missing out the last 6 months prior to a peak would cost you, on average, a 26% gain. There is a new thesis in play that argues with so much money flowing into passive indexes and ETFs, the investing world has changed forever. Sure, the number of retail investors buying individual stocks has fallen to the single digits and even institutional investors are starting to invest in a passive manner. But, is this market cycle really different from all the ones before it? Politicians change, management teams change and tax rules change, but human emotion never changes. When we invest, we are not playing an IQ game; we are playing a psychology game. The new passive paradigm is indeed real, but to believe this changes euphoric bubble tops is to adopt the most dangerous sentence in investing -“This time is different.” The bubble investor doesn’t enter the market until they feel so much pain inside that they finish with many tears to cry.